Already approved for use in more than 180 countries for food‐contact packaging, WESTON® 705 is the only nonylphenol‐free liquid phosphite antioxidant alternative with food‐contact approvals in the U.S., Canada, Europe, and China. 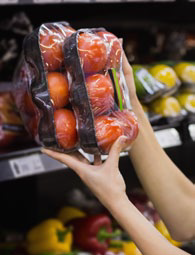 This enables resin producers and packaging manufacturers to employ a single, global solution for Consumer Packaged Goods for customers looking to stay ahead of the regulatory curve. The result of more than seven years of research and investment, WESTON® 705 is the most thoroughly tested new plastic antioxidant on the market today. Addivant™ is dedicated to Responsible Care®, the chemical industry’s initiative to protect the environment; while ensuring the safety and security of our operations; and safeguarding the health and safety of our employees and neighboring communities. The goal is to make continuous progress toward the vision of no accidents, injuries or harm to the environment. As active and responsible members of the communities, Addivant™ is committed to open communication with our employees and neighbors. The company monitors the safe production, transportation, and use of its products. Employees are comprehensively trained to do their jobs safely. We care about the future — for all of us.